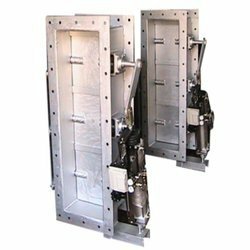 We are widely acknowledged for offering the best-in-class Pneumatic Isolation Dampers. Conforming to the defined parameters of the industry, these offered products are able to meet application as process control device. These offered dampers are provided with options of base rollers for mechanical as well as pneumatic/hydraulic sliding applications. 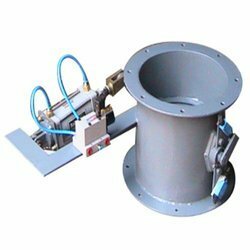 Along with this, these offered products are able to meet application of in pre-spinning isolation, duct air as well as modulating service applications. These are also used for stack isolation where the dampers are applied to protect as well as reduce heat loss from boiler, exhaust system other working elements. Our esteemed clients can avail from us commendable Pneumatic Regulating Dampers at an economical price. These offered products are manufactured by making use of high-grade basic material, procured from the accredited vendors of the industry. Our precision engineered products find application in regulating, isolating as well as distributing low pressure and high temperature gases for use in steel plants, power plants, co-generation systems and other similar areas. Along with this, to cater to the diversified demands of the clients, we offer these products available in different specifications. 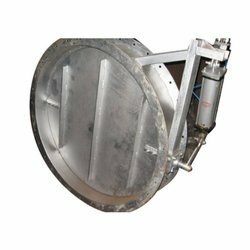 Clients can avail from us the best-in-class Pneumatic Dampers. Designed to excellence, these offered products are available with solenoid values/ limit switch and cylinders which ensure efficient functionality standards. Further, these products are provided with high performance damper seals that are available in different material choices like FPM, PTFE, NBR, FKM to give precision sealing in involved process as demanded by the customers. Base rollers are provided to deliver smooth handling. Further, their housing of high grade stainless steel and mild steel also make these to deliver consistent performance for long time periods. Looking for Pneumatic Dampers ?